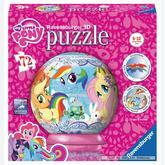 Puzzle 3D There are 25 products. 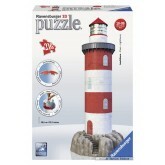 A 216 pieces jigsaw puzzle made by Ravensburger (reference 125531). Size: 13.9 x 6.3 x 45.9 cm (= 5.5 x 2.5 x 18.1 inch). Special series: Puzzle 3D. In stock and ready to ship out. 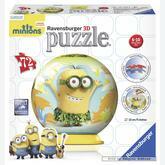 A 216 pieces jigsaw puzzle made by Ravensburger (reference 125548). Size: 5.5 x 5.5 x 39 cm (= 2.2 x 2.2 x 15.4 inch). 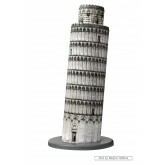 Special series: Puzzle 3D. In stock and ready to ship out. 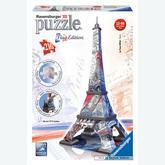 A 216 pieces jigsaw puzzle made by Ravensburger (reference 125579). 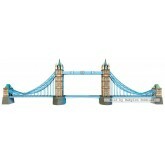 Size: 29 x 8,5 cm (= 11.4 x 3.3 inch). Special series: Puzzle 3D. 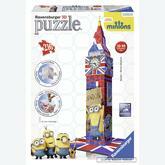 A 216 pieces jigsaw puzzle made by Ravensburger (reference 125593). Size: 117 x 34 x 17 cm (= 46.1 x 13.4 x 6.7 inch). Special series: Puzzle 3D. In stock and ready to ship out. 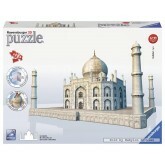 A 216 pieces jigsaw puzzle made by Ravensburger (reference 125562). 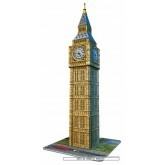 Size: 16.4 x 16.4 x 43 cm (= 6.5 x 6.5 x 16.9 inch). Special series: Puzzle 3D. In stock and ready to ship out. 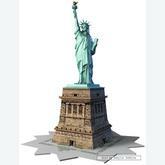 A 324 pieces jigsaw puzzle made by Ravensburger (reference 125517). Size: 30 x 10 x 27 cm (= 11.8 x 3.9 x 10.6 inch). 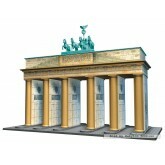 Special series: Puzzle 3D. In stock and ready to ship out. 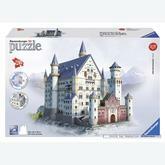 A 216 pieces jigsaw puzzle made by Ravensburger (reference 125647). Size: 34 x 34 x 24 cm (= 13.4 x 13.4 x 9.4 inch). Special series: Puzzle 3D. In stock and ready to ship out. 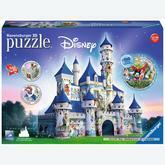 A 216 pieces jigsaw puzzle made by Ravensburger (reference 125722). Size: 23 x 18 x 24 cm (= 9.1 x 7.1 x 9.4 inch). 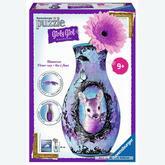 Special series: Puzzle 3D. In stock and ready to ship out. 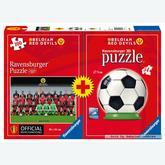 A 216 pieces jigsaw puzzle made by Ravensburger (reference 125661). Size: 14 x 6.5 x 48.5 cm (= 5.5 x 2.6 x 19.1 inch). Special series: Puzzle 3D Night Edition. In stock and ready to ship out. 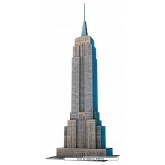 Includes 2 Led's In stock and ready to ship out. 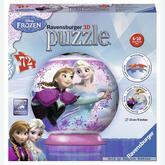 A 216 pieces jigsaw puzzle made by Ravensburger (reference 125739). Size: 39 x 23 x 38 cm (= 15.4 x 9.1 x 15.0 inch). Special series: Puzzle 3D. 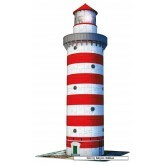 A 216 pieces jigsaw puzzle made by Ravensburger (reference 125807). Size: 16 x 16 x 43 cm (= 6.3 x 6.3 x 16.9 inch). Special series: Puzzle 3D. In stock and ready to ship out. 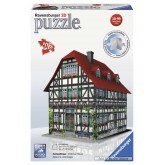 A 108 pieces jigsaw puzzle made by Ravensburger (reference 125845). Size: 11 x 11 x 38. Special series: Puzzle 3D. 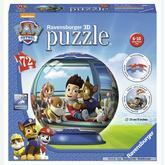 A 72 pieces jigsaw puzzle made by Ravensburger (reference 118243). Size: diameter 13 cm. Special series: Puzzle 3D. 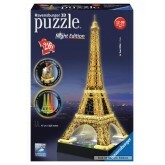 A 216 pieces jigsaw puzzle made by Ravensburger (reference 120802). Size: 24 cm. Special series: Puzzle 3D. 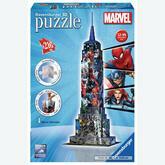 A 216 pieces jigsaw puzzle made by Ravensburger (reference 125173). Size: 7 x 14 x 47 cm (= 2.8 x 5.5 x 18.5 inch). Special series: Puzzle 3D. 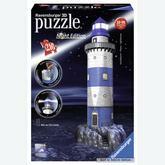 A 216 pieces jigsaw puzzle made by Ravensburger (reference 125876). Size: 45 x 27 x 49 cm (= 17.7 x 10.6 x 19.3 inch). Special series: Puzzle 3D. 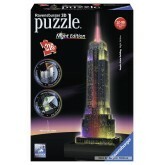 A 216 pieces jigsaw puzzle made by Ravensburger (reference 125777). 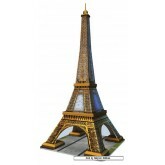 Size: 9 x 40 cm (= 3.5 x 15.7 inch). Special series: Puzzle 3D.